Modern aesthetic to suit all environments. 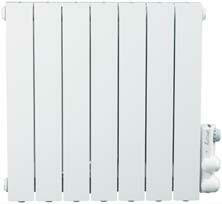 Gentle and comforting heat which does not dry up the air. New exclusive Cyclope® thermoregulation system accessible everywhere and to everybody. 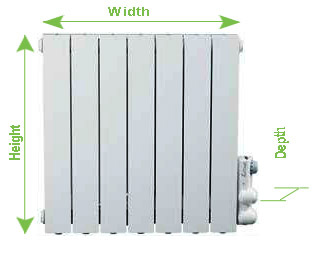 The aluminium heating body contributes to the best heat exchange, like normal wet central heating but without any pipes. with features such as pre-wired electrical connections and fast fit, simple, secure assembly wall fixing brackets kit. 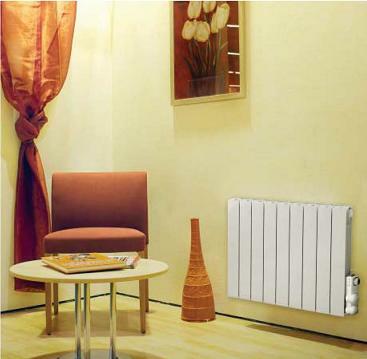 The Classic range of electric radiators is equipped with a lockable thermostat thanks to the EES electromagnetic key delivered with each radiator. 2 possible heights: 430 and 580 mm. 8 outputs from 500 to 2000 W.